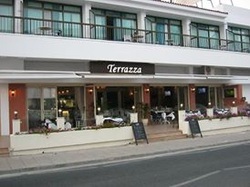 Terrezza restaurant serves a range of international dishes for both lunch and dinner all year round. 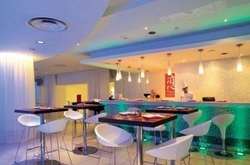 It is located on the Grecian bay Road, opposite the Margadina Lounge Hotel. 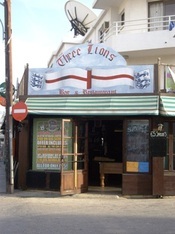 Three Lions is an English style pub just a few minutes from the centre of Ayia Napa on the top road. It is open all year round and serves breakfast, lunch, dinner from a pub grub style menu as well as Sunday roasts. 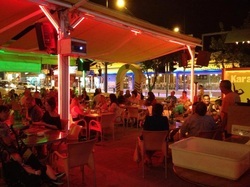 Tommy's Pub is located at the start of Nissi Avenue right by the traffic lights in the centre of Ayia Napa. It is open during the summer months for breakfast, lunch and dinner and also has shows and karaoke every evening. Tony's Tavern is set in a pretty old building on Nissi Avenue close to the centre of Ayia Napa. It is open during the summer months for dinner and serves a wide selection of traditional Cypriot dishes as well as some international basics. 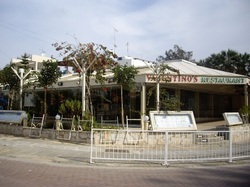 Valentino's restaurant is on Nissi Avenue in the Nissi bay area and is open during the summer months for dinner service. It has an extensive menu of stylish Mediterranean dishes and has hosted several of Cyprus's celebrity chefs in recent years. Vassos Fish tavern is open all year round throughout the day and evening and has fantastic views of Ayia Napa harbour. It serves a variety of fish and seafood as well as some international dishes. This is also home to the famous Ayia Napa pelicans. 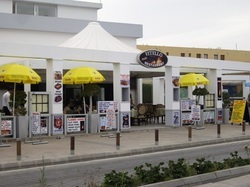 Vitello Flambe restaurant is new for 2013 and is located on the road leading to Ayia Napa's harbour from the town centre. It serves a selection of Cypriot and international dishes including flambe. It is open in the summer months for dinner. Viva Mexico is open inb the summer months for breakfast,lunch and dinner and serves Mexican, Tex-Mex and international dishes. It is located at the Kkaras Apartments on the Grecian bay road, opposite Plus supermarket. Wasabi Sushi Bar and restaurant is part of the Napa Plaza complex and is open in the summer months for the evening dinner service. Wild West restaurant serves a variety of Cypriot and international food and also has a kids playground. 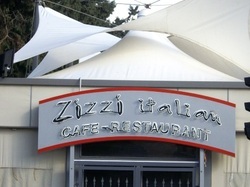 It is open during the summer months for lunch and dinner and can be found on Nissi Avenue in the Nissi Bay area. Yo Thai serves Thai, Chinese and Japanese foods as well as having an extensive sushi menu. 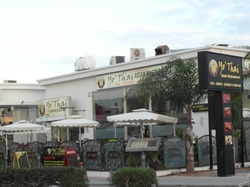 It is located on Nissi Avenue next to the Bank of Cyprus and is open in the summer months for dinner. Z Italian restaurant is located right by the traffic lights in the centre of Ayia Napa and is open every evening through the summer. It serves a range of Italian and Mediterranean dishes. 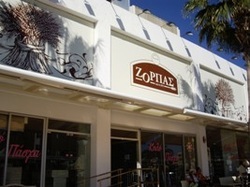 Zorbas Bakery is open 24 hours a day, 365 days a year and can be found on Nissi Avenue in the centre of Ayia Napa. It has a salad bar and coffee bar and has a wide selection of baked goods, pies, pastries, cakes and pizza, as well as sandwiches made to order.